At the beginning of 2001, TNO tested the SOUND CalibraTion and TESting (SOCRATES) mini low-frequency active sonar source in its anechoic basin. SOCRATES was a state-of-the-art acoustic source that was specified, designed, developed and produced in close collaboration with more TNO-FEL research groups. Together with the existing CAPTAS sonar receiver array, SOCRATES formed an advanced mini Low-Frequency Active Sonar (LFAS) system, which has been widely used for acoustic experiments at sea. 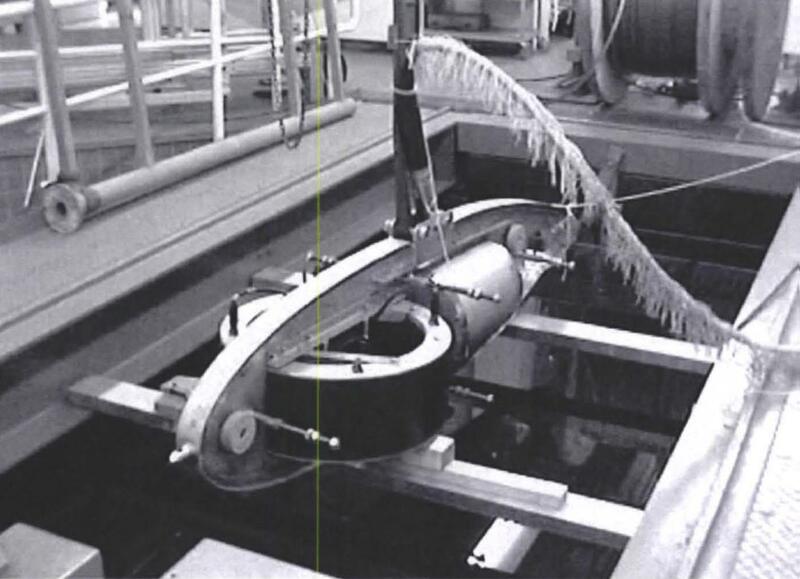 SOCRATES replaced the old towed TBQT sonar sound source, which was lost at sea near Norway at the end of 1998. 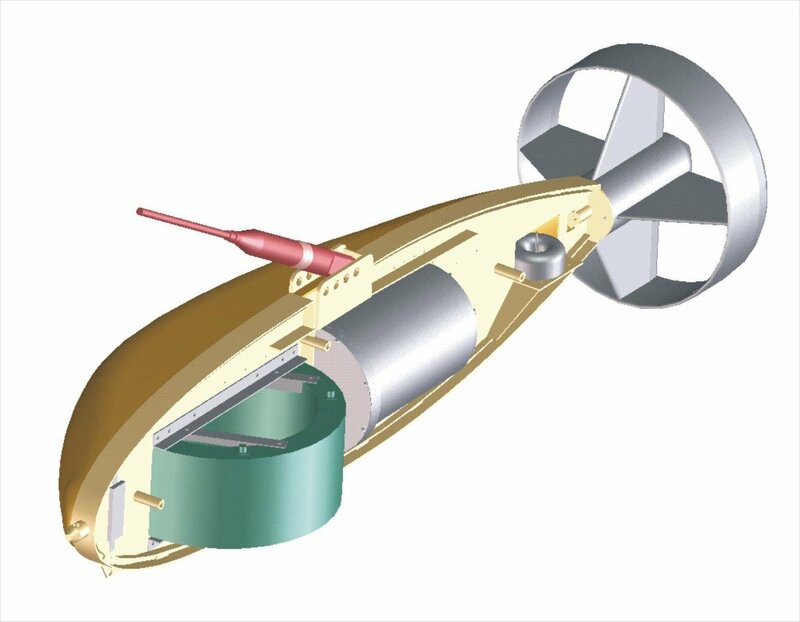 The indispensable broadband free flooded ring (FFR) transducer was obtained from Thomson Marconi Sonar SAS (TMS) as part of the joint New Array Technology program. SOCRATES had to be able to act as a real, albeit modest, LFAS source. With the FFR transducer, a transmission level of about 210 dB became possible; the old source could only deliver 185 dB. In addition, the FFR has a wide frequency band, allowing all frequencies between 1000 and 2000 Hz to be used. In comparison with, for example, the ALF sonar, this means a ten times larger bandwidth. This performance is acoustically very advantageous due to the larger information content of the signals after processing. SOCRATES could also be used as ‘echo repeater’ and as ‘locator’ (to mark the source position). First an exact 3-D mechanical design of the source was made. The RDM used this design to manufacture the stainless steel centre plate and the special shell parts of the housing exactly to size. Other TNO groups worked on the required simulations of the electronics for the source, the simulation of the algorithms for the Digital Signal Processor (DSP) and handy operating software. In March 2001, SOCRATES was first tested at sea from Hr.Ms. Mercuur. Thereafter, SOCRATES was often used in national, bilateral and international sonar trials. A leaflet about the successor SOCRATES 2 system can be downloaded here.